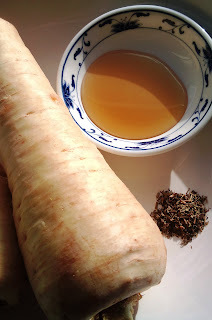 Parsnips are a bit of a forgotten veg. Their faint flavour usually disappears amongst the spuds or carrots that we tend to reach for first. This recipe makes them very much the star. It's quite a winter favourite of ours and we always serve them with Christmas dinner. They'll go great with grilled meat, chicken or fish. The recipe below will feed 2 people. Spray 2 sprays of Fry Light One Cal spray oil into the base of a casserole dish and add the parsnips. Bake them in the in the oven for 20 minutes. Carefully remove them form the oven and sprinkle the parsnips with the thyme, salt and pepper and mix around. Drizzle the honey over the parsnips and return them to the oven for another 20 minutes. 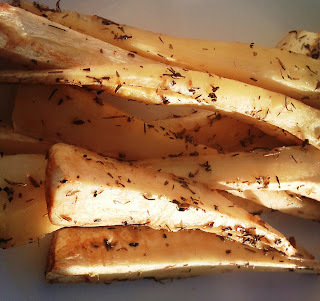 I am *so* preparing parsnips this weekend.